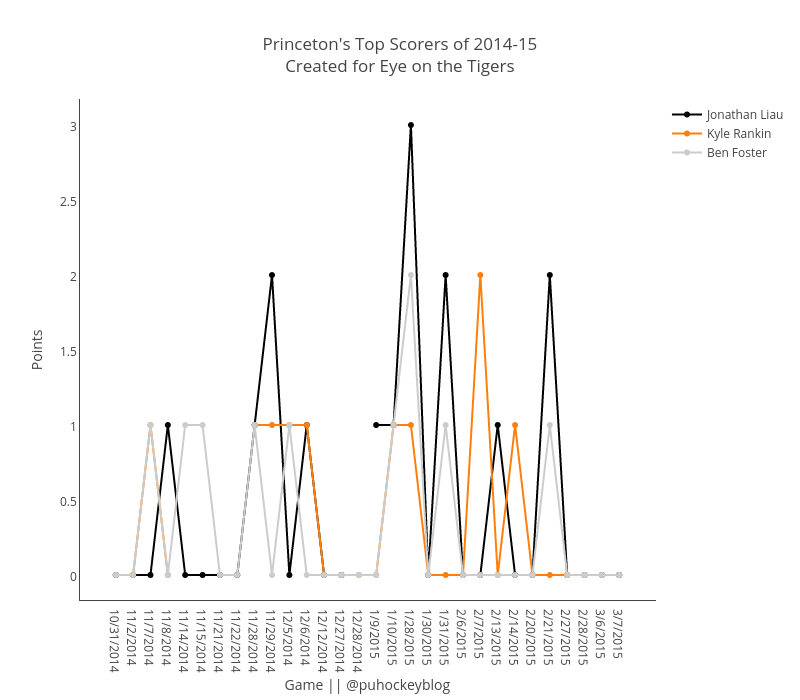 Princeton men’s hockey lost some of its scoring due to graduation, but the Tigers are returning its top three scorers from last season. Jonathan Liau led the team with 14 points (4g, 10a). Rankin and Foster were each tied with 10 points, while Foster added four goals. Here’s an interactive line chart comparing each player’s scoring on a game-by-game basis.